Boise County is a rural mountain county in the state of Idaho. 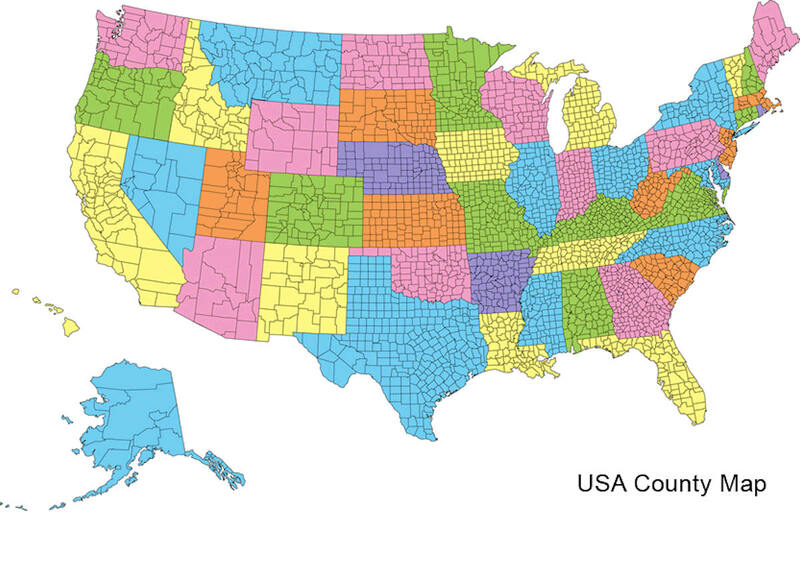 Based on the 2010 census, the population was 7,028. Boise County was created on February 4, 1864. The county seat is Idaho City, and Horseshoe Bend is its largest city. Boise county is named for the Boise River. Boise County is named for the Boise River, which empties into the Snake River in western Canyon County. Boise is French for wooded. Established February 4, 1864 with its county seat at Idaho City. Named for the Boise River, which was named by French-Canadian explorers and trappers for the great variety of trees growing along its banks. The Boise Basin, in which Idaho City lies, was one of the richest gold mining districts in the nation after the discovery of gold in 1862. At its peak in the 1860s and 1870s, Idaho City was, for a time, the largest city in the northwest, it was this great influx of people that lead to the establishment of the Idaho Territory. As reported by the Census Bureau, the county has a total area of 1,907 square miles (4,940 km2), of which 1,899 square miles (4,920 km2) is land and 7.4 square miles (19 km2) (0.4%) is water. 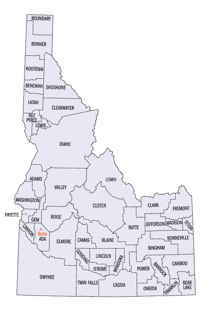 Boise county is located close to the center of Idaho. The highest point in the county is Thompson Peak at 10,751 feet (3,277 m), on its eastern border in the Sawtooth Wilderness. 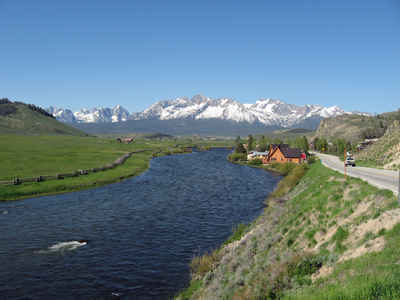 The county's lowest point is on the Payette River, on its western border with Gem County, at approximately 2,500 feet (762 m).